We have recently been using Color the Classics Godly Composers to learn more about the classical composers and their music. This has been such a fun and rewarding adventure. Coloring is something that my kids enjoy, and when they are required to color for school they like it even more. 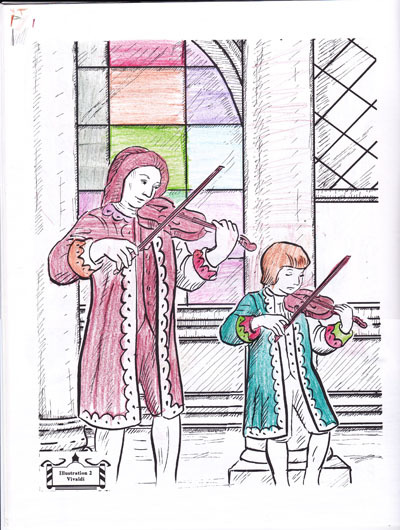 We have been spending about 30 minutes per session working on a coloring page while we take in the beautiful music of the godly composers. I really like this product, as do my children. It includes a coloring book and a CD. The book is broken up into sections featuring a particular composer. 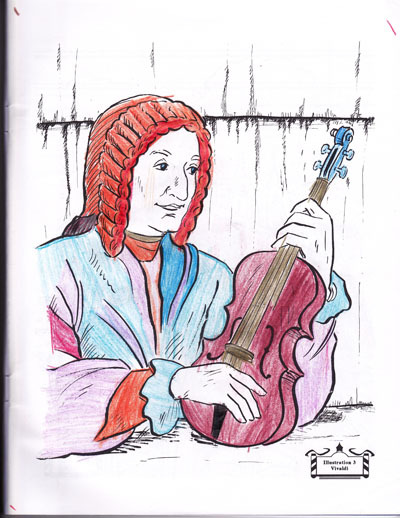 For each coloring page there is a paragraph or two that gives more information about the composer’s life and work. It is very well done. If there is one adjustment I would make to the product it would be to say the name of the piece and the composer’s name before each song plays on the CD. I think this would really cement the information into your brain. I read this information to the kids from the CD case as each song changes. 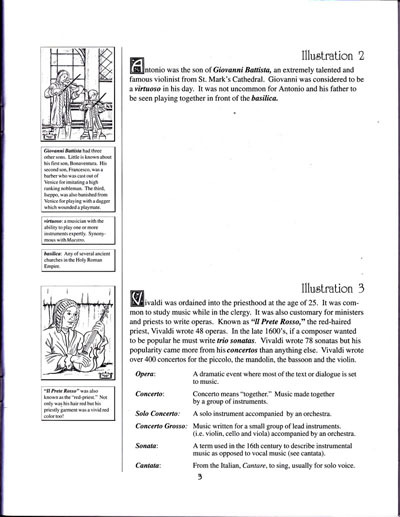 Below is a sample of the information provided for each illustration. We have learned about Vivaldi, Bach, Handel, and Haydn in this book. I have been using this with my 6, 8 and 11 year old and they all like it very well. They like to compare their pictures with each other and laugh at how they choose to color their pictures. The artwork shown here is that of my 6 year old. There are six different volumes of Color the Classics to choose from. 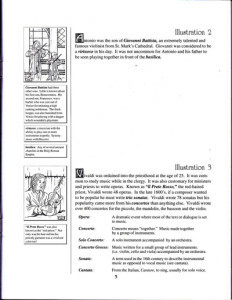 You can find out more at www.colortheclassics.com. I would definitely recommend these products if you are interested in learning more about the classical composers and their music. 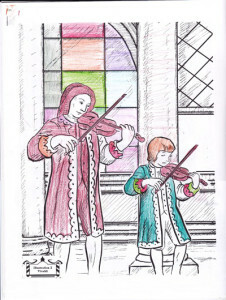 You can print a sample page and listen to a sample song at www.ColortheClassics.com. This entry was posted in Reviews, Uncategorized and tagged color classics on February 13, 2013 by Krista G..